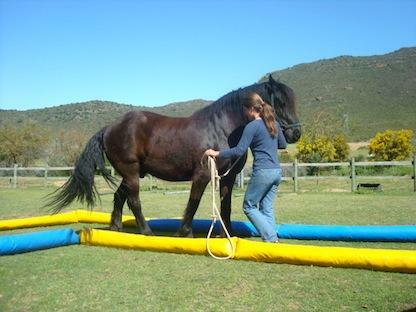 At present, I am involved in the development of a coaching program on communication and leadership with horses. This involvement was at first a professional opportunity to connect my life-long love for horses and the experience I have in that field with my passion for coaching. The process since then also led to a deep appreciation for the insights facilitated by the horses when we allow them to be our coaches. With this blog post I aim to share this enthusiasm and illuminate some of the principles that play together in such a process. Good leadership is one of those things that can look easy from the outside. And yet, being a good leader is extremely difficult, something we realise quickly when being in a leadership position ourselves. Leaders need a multitude of skills, and one of the most important ones, I believe, is a well developed awareness for the interactions and dynamics between oneself and others. A major challenge however is that when we are leading others, we often don’t really know how our actions are perceived as we can not step outside of ourselves. Multiple layers of concurrent information, events, as well as politics and hierarchies within an organisation further hamper this awareness. As a result, the message a leader wants to transfer is often skewed and misunderstood on the receivers’ side. When leaders fail to get the results they expect, the underlying reasons often appear to be a black box. How can a leader get to an understanding of what it is they should change? If team members have an opinion of what their leader lacks or what they wish for, they are often not going to express this for a fear of disadvantaging themselves. And even if they did, people’s wishes are often incongruent or do not necessarily promote the best outcome for the organisation as a whole. In spite of good intentions, a leader can easily get stuck in this complexity of human interactions. Some will rigidly stick to the style they believe is best and in the process often lose part of their invaluable human resources. Others resort to a rather messy process of trial and error which might heighten the uncertainty for all involved. What if this complexity could be disentangled, so that the leader can find his or her leadership style which is authentic, balanced and understood by those to be led? And this is where the horses come in. Evolutionary, horses have developed a very fine tuned survival response to sense and be aware of the present moment. This sensitivity to their environment allows them to stay safe when grazing the plains. Thus, horses do not normally leave their herd. 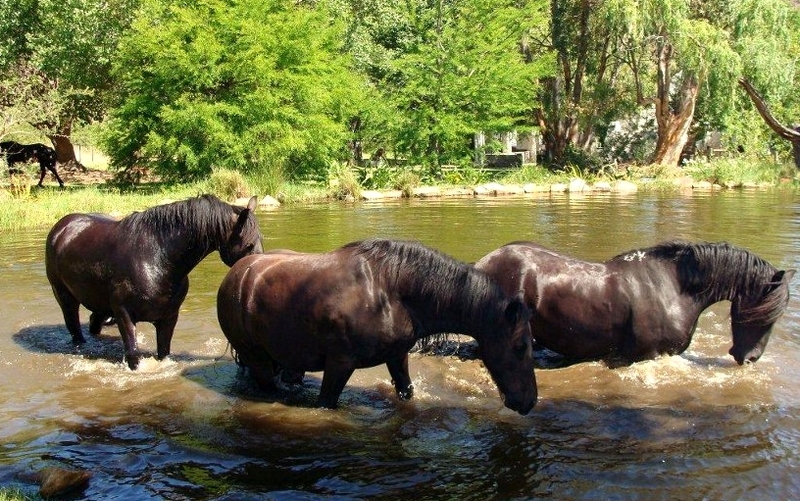 Although there is a clear hierarchy within a herd, horses do not blindly follow a leading horse, but fulfil their special role and relationships towards the other horses. From the viewpoint of a horse, it its placed into a dangerous spot away from the safety of the herd when it is being taken out by a human being. When we approach a horse in order to lead it, it will not be distracted by our words, status or appearance like many of our fellow human beings. Instead, they are alert to the human as a predator and need to trust the person as a leader. Because of this well-developed sensitivity to detect dangers, horses test our intentions, ask questions and respond through their behaviour. In this way, they provide us with honest and clear feedback about our presence, impact as a leader, our body language and emotions. In other words, they reflect back to us our authentic selves. When humans are not congruent with themselves or towards the horse, the horse often becomes uneasy or walks away. When we remove our masks, are who we say we are and do what we say we will do, they visible calm down, relax and and often move towards us. In this way, horses lead us into insights and reveal new ways of interacting with others and ourselves. Without judgment, they make us aware of what we can not see about ourselves. Simply put, experiential learning means learning from direct experience, through the reflection on what we have done. When we are thinking of life lessons and the attainment of wisdom, this seems intuitive for most people. With regards to skills and specific content however the traditional expectation is that we are provided with information first. We have a teacher, book, video or presentation and try to swallow and digest the information in one way or another. The next step in which we attempt to apply the knowledge often gets neglected in traditional settings such as universities. This in turn means that we often know far more in theory than we can skilfully apply in practice. When we read a book or listen to a lecture for example, we receive the information from the perspective of a writer or teacher, and try to filter out the information that is applicable to us. In contrast, when we do something and reflect on it afterwards, the experience strikes something within us which is exactly that which is meaningful to us, which we needed to learn (the “Aha-Effect”). We can then immediately apply our first hand discoveries and refine them in practice because the experience is tangible. The learner has the opportunity to consider and reflect on what is working or failing to work. This honours our uniqueness and the fact that we all have different world views through which we see, interpret and interact with the world. It is therefore not the curriculum that defines the learning process, but the learners, based on what is important for their roles and personal journeys. Furthermore, the learner physically experiences the effects of his leadership actions in the ‘here-and-now’, in interaction with the horse as a being that knows nothing else than being and reacting in the moment. This mindfulness provides access to direct perception of reality, independent of rational processes. Much of what challenges us in our human relationships and in organizations is beyond words and rational thought, but must be felt. As outlined above, it is often the overload of pressures and information that prevent leaders from authentic and present interactions with their team members. While classic training settings often rely too heavily on cognitive, rational thinking, experiential learning acknowledges that there are more “kinds of knowledge” and makes this accessible in the experience. In the context of our course for example, different horses will react differently – yet authentic – to a leader, so that a he or she can develop a leadership style that is based on integrity, balanced and yet effective in all settings. If the horses do not follow us, a leadership model from business school likely won’t help. Instead, we need to be sense and experience our own leadership and the results we produce. The program combines Co-Active Coaching principles with those of experiential learning in a tranquil and beautiful setting in the Swartland of South Africa (2 hours drive from Cape Town). The smaller, theoretical part is based on Transactional Analysis, an internationally renowned theory of communication. 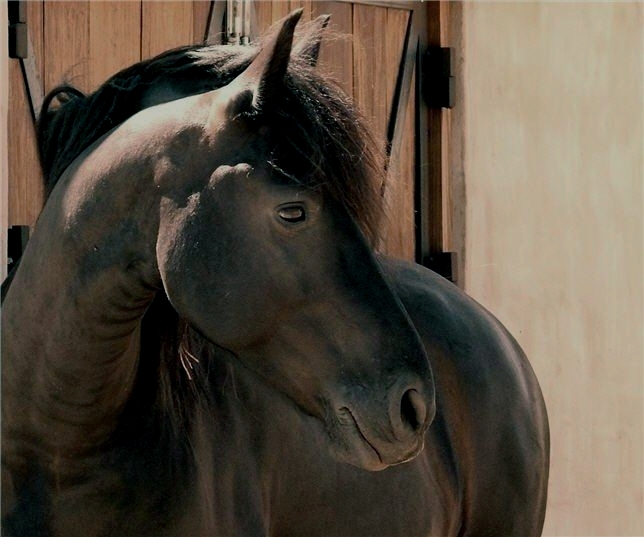 We work with specially trained and majestic, black Friesian horses. UPDATE: The next course will take place from the 23rd to 25th of October 2013. Please contact CIELARKO if you would like to know more. This entry was posted in Coaching and tagged Coaching, Experiential Learning, Horses. Bookmark the permalink. Thanks Manuela, I enjoyed reading it.